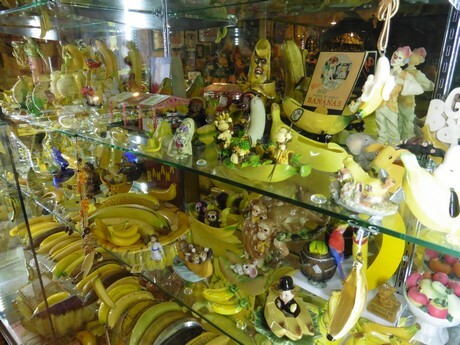 These are just a few of the more than 25,000+ banana-themed items housed at the International Banana Museum, a unique roadside attraction in Mecca, California. Enter Ken Bannister. 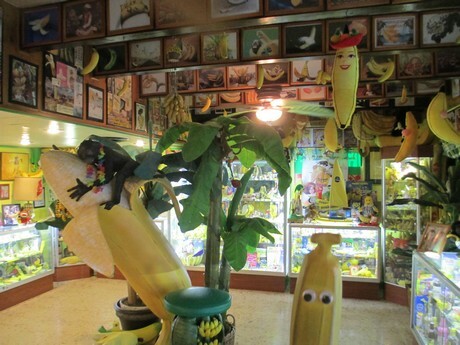 Since 1999, Bannister was the Guinness World Record holder for the Largest Collection of Banana-Related Memorabilia for his 17,000-item collection. And he was selling it. So with that collection to start, Garbutt spent the next two years adapting the bar and rounding out the collection with additional items to fill in the gaps of banana-themed artefacts. He was also developing a menu of food items his bar could serve—think banana milkshakes and chocolate-dipped bananas. “And after opening in 2012, with social media where it was at, the museum blew up on there with everyone posting about it,” he says. 2019-01-30 "Banana retail prices are too low"
2019-01-18 "Thanks to the Christmas season, we have a good buffer"
2019-01-17 "This female-run company has achieved great things working with small producers"
2019-01-16 Demand to pick back up on cooking bananas?